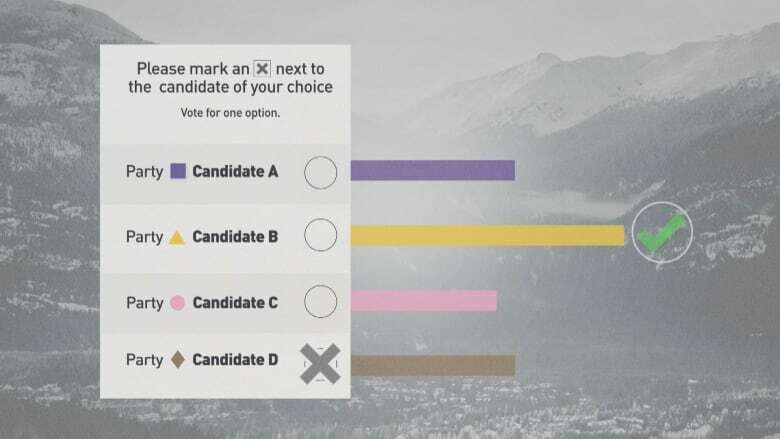 "Which system should British Columbia use for provincial elections? Vote for only one: the current First Past the Post voting system [or] a proportional representation voting system." CBC News is taking an in depth look at B.C. 's electoral reform referendum this week. It's a simple question at the top of the ballot for B.C. 's electoral reform referendum. Beyond that, there are three different types of proportional representation systems people are asked to choose from — with varying levels of details that would be settled after the referendum, if selected by voters — and plenty of arguments about the merits of each. But as Premier John Horgan and B.C. Liberal leader Andrew Wilkinson prepare to debate the merits of the referendum on Thursday, that first question is the most critical. 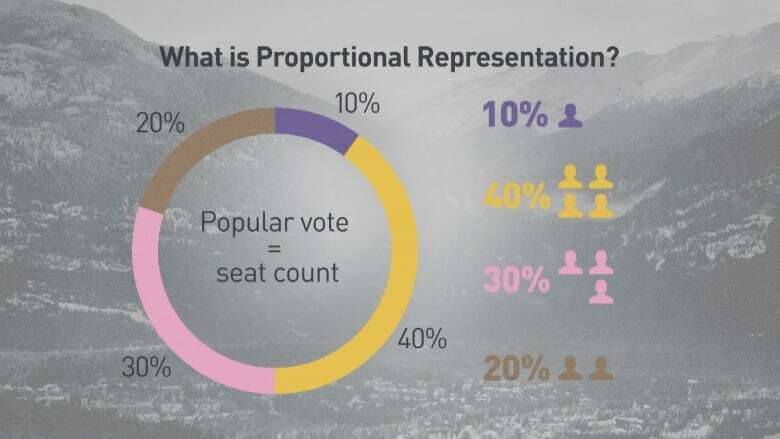 If more than half of people who mail in their ballots by Nov. 30 vote for proportional representation, then the system of voting, which British Columbians have used for every federal election and all but two provincial elections, will change. 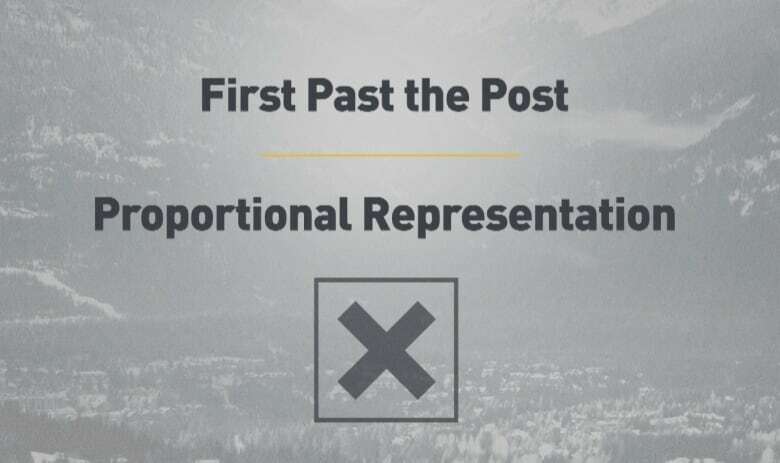 Here are the main differences between first-past-the-post and proportional representation. It's the colloquial name given to how we elect politicians right now. The province is split into individual ridings, where individuals put their name forward to be on the ballot. Everyone has one vote, and the candidate with the most votes becomes the district's MLA. It's known more formally as a "single-member plurality system," because only one person is chosen per area, and the person who gets the most first place votes is elected. It tends to create governments that last for three to five years before another election, with one party having a majority of seats, and a direct line of accountability between individual politicians and voters in their district. "It is simple, it produces stable governments and it's been successful for generations," says the official Vote No to ProRep campaign. "We all understand how it works." But it means parties can easily form a majority in the legislature with 40 per cent or less of the vote — or even, in the case of B.C. 's 1996 election, with tens of thousands of fewer votes than another party. And because people can only cast a ballot for one person in one district, a voter can spend decades without ever having their vote affect the makeup of the legislature. The NDP, for example, haven't won a seat in the Okanagan since 1991, despite usually securing at least a quarter of the votes there — but they've held every seat in northeast Vancouver since 1972, despite 40 per cent of people consistently voting for a different party. That's why some people are attracted to proportional representation, an alternative method of electing representatives. Countries around the world use different variations, but in all cases, PR leads to a strong correlation between percentage of vote and percentage of seats. "It isn't fair that a government that gets 40 per cent of the votes should get 100 per cent of the power," says the official Vote PR BC campaign. "All three made-in-B.C. pro rep options would strengthen our democracy and put people first." It also tends to result in more parties, and more minority legislatures. That can mean more collaboration — but potentially more instability, and smaller parties having an outsized influence on what bills can get passed. "Proportional representation will enable extreme fringe parties like the far right to hold the balance," said the Vote No side in one of its pamphlets. 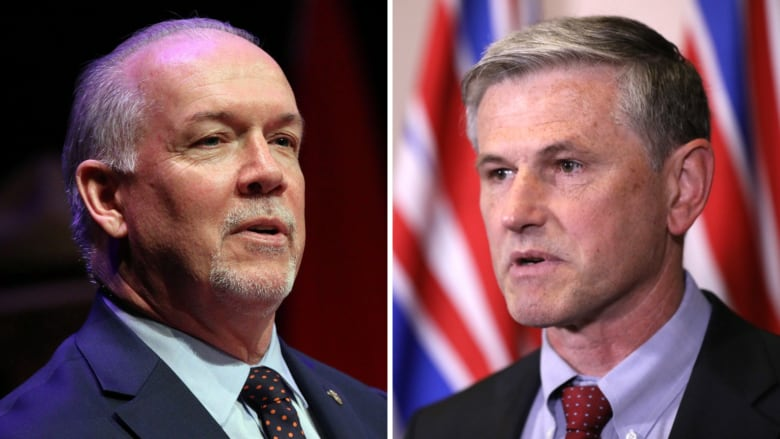 "Political parties must win a minimum of five per cent of the popular vote to win seats in the BC Legislature. 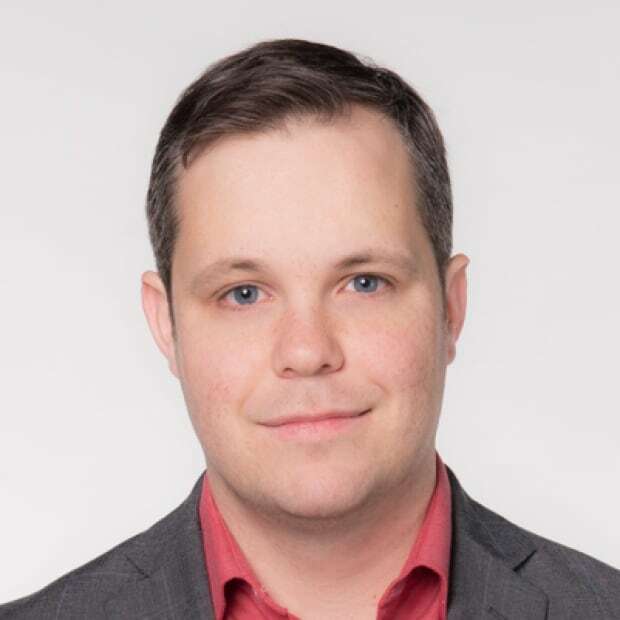 Even then, winning seats in parliament is not the same as controlling or influencing government," said Nick Loenen, a former Social Credit Party MLA, who co-founded Fair Voting BC, which is in favour of proportional representation. So there are tradeoffs to both systems. The question is, which values are more important to you?